MOVIE: Paper Tigers (FREE!) One high school's unlikely success story. This moving film follows a year in the life of an alternative school that has radically changed its approach to disciplining its students, becoming a promising model for how to break the cycles of poverty, violence and disease that affect families. Paper Tigers is a testament to what the latest developmental science is showing: Just one caring adult can help break the cycle of adversity in a young person’s life. 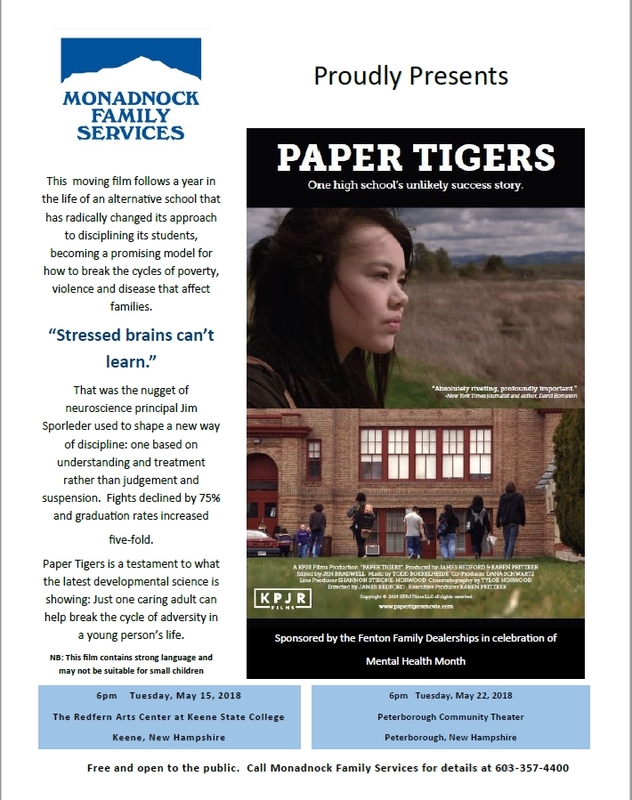 Call Monadnock Family Services for details at 603-357-4400.